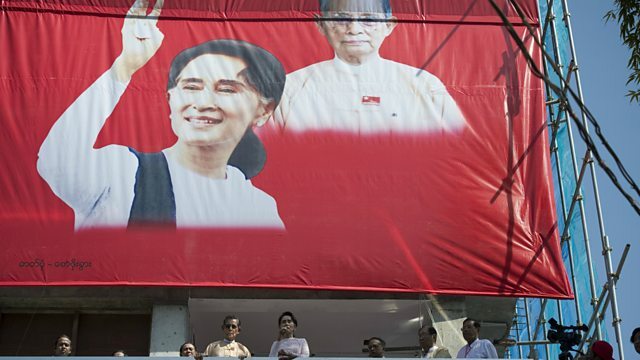 Votes are being counted after the election in Myanmar, with early reports that the opposition National League for Democracy are doing very well. The BBC's Jonah Fisher reports. Rioting is taking place at an Australian detention centre for Asylum seekers on Christmas Island, after the death of one of the detainees. Among the detainees are New Zealanders facing deportation from Australia. New Zealand Labour Party MP and correction spokesman Kelvin Davis joins us from Wellington. Sierra Leone has been declared Ebola-free because there have been no new cases for 42 days. One person who is happy to hear the news is Ugandan doctor Dr. Michael Mawanda, who ran a treatment team in Sierra Leone and contracted the disease. The BBC's Alan Kasujja has spoken to him.